As an organization that seeks to equip people with agricultural resources and skills, we often find ourselves coming back to the seed. 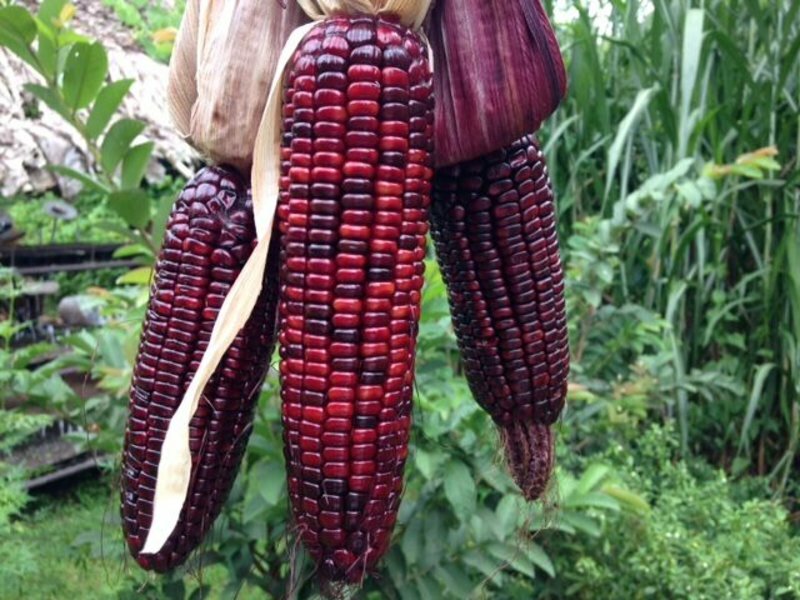 Again and again we witness the value of saving open-pollinated seeds, shedding light on locally adapted and underutilized plants of merit, and researching innovative low-cost seed storage technologies. These activities form the foundation of ECHO’s ability to empower others in their endeavors to improve food and agricultural systems around the world. 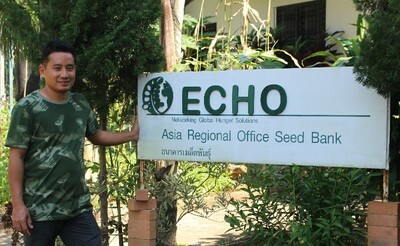 Building on a longstanding history of seed bank operations, first in Florida, and now Asia and Africa, ECHO continues to expand its capacity for placing seeds into the hands of those in need. In 2009, with the establishment of Asia’s Regional Impact Center and Seed Bank, the first step was taken in an ongoing process to house seeds of regional merit and local importance on location. To date, ECHO’s first regional seedbank is striving to meet a growing demand for locally-adapted, open-pollinated seed from within our network, and its success attests to the wisdom of its establishment. Distributing over 4,600 trial seed packets in 2017, from a selection of 175 different varieties, the Asia Seed Bank serviced network partners in 29 countries, with seeds grown and produced right here in SE Asia! A two-pronged approach to the aforementioned challenges forms the basis of ECHO’s response and includes the (1) expansion of our ECHO Asia seed bank, and (2) the formation of a regional network of community level seed banks (CLSB’s). This approach has recently been set in motion, and establishment of a new farm and seed bank is now underway. 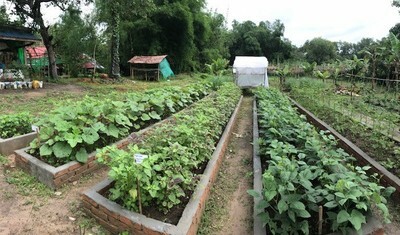 The recent procurement of new land on the outskirts of Chiang Mai (just 25 minutes from the main office) has allowed for the expansion from our existing seed bank operation in Mae Ai (located 4 hours from the main office), and the establishment of a Small Farm Resource Center (SFRC) to be used for training and research purposes. This new and ongoing endeavor allows for significant growth of seed production and the overall capacity of our regional seed bank to service the needs of our network. In addition to housing an expanded seed bank, this site will significantly bolster our capacity for additional agricultural demonstration, innovation, and verification of the practices we seek to share. With the construction of a larger cold-storage room for seeds, increased acreage for seed production plots, and closer proximity to the city, this site will serve a critical function in supporting our regional network with a diverse variety of locally-adapted seeds. While this increased seed bank capacity will undoubtedly multiply the seeds we can grow and disseminate, we recognize the ongoing challenges of the movement of seeds regionally, and the need for additional local in-country alternatives. Therefore, serving as a regional hub, this new Asia seed bank will support an emerging network of community level seed banks (CLSB’s) located within countries of SE Asia and beyond. 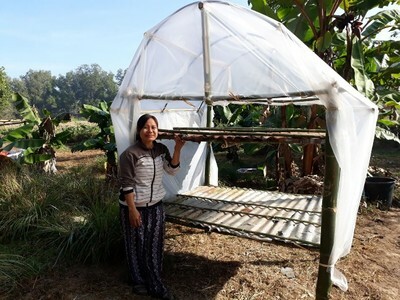 Thanks to the generous support of the Presbyterian Hunger Program, the Agroecology Learning Alliance of SE Asia (ALiSEA), the Stewardship Foundation, and generous individual givers, this network is beginning to grow and expand, one seedbank at a time. On a spectrum from developed and sophisticated to simple and appropriate, a seed bank can look very different depending on the context and its desired function. On ECHO’s Global Farm, we operate a seedbank equipped with an impressive walk-in cold-storage unit capable of precisely controlling temperature and humidity, suited for storing seeds for several years at a time. At our regional seed bank located in Thailand, we operate a less sophisticated seed storage room using a split unit air conditioning system, a ‘cool-bot’ sensor, and a spray-foam insulated room, designed to be more replicable and affordable for those within our network of partner organizations. Further still, for those on a lower budget and lacking access to the necessary technologies, and reliable electricity, we have had to explore, test, and experiment with other appropriate seed bank options for local communities within the region. These include earthbag building techniques and buried clay cisterns for temperature stabilization, bicycle vacuum sealing technologies, and locally available desiccant materials for drying down seeds. To date, it has been a combination of the two latter options on the spectrum that have found their way to form a set of functioning seed banks on the ground. 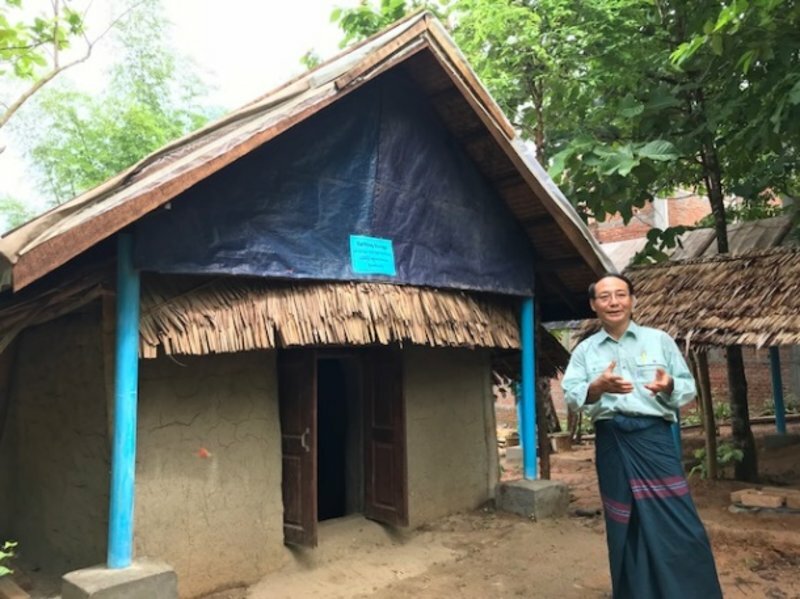 Working in Myanmar, in the Irrawaddy Delta region, alongside our partners in the Myanmar Baptist Convention, the initial stages of a seed bank network have begun. 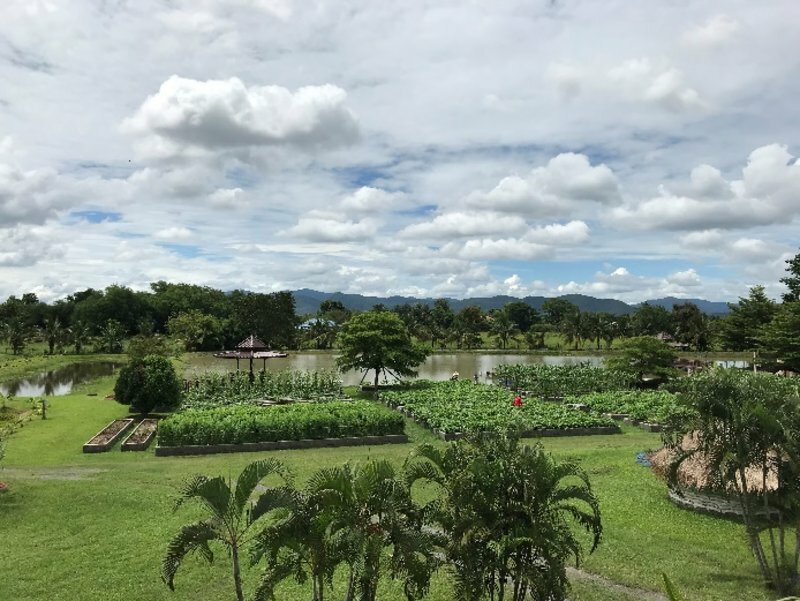 Beginning in 2017, several prospective seed bank managers were hosted in Thailand at the ECHO Asia seed bank and trained in all facets of establishing, operating, supplying, and maintaining a community level seed bank. Upon returning to their respective communities, the first seed banks of the network were established. The development of these local seed banks has been context-appropriate – each unique, community level seed bank using different combinations of innovative options offered by ECHO. After spending two months learning the ins and outs of our seedbank operations in Thailand, two of these Managers, Saw Moo Pler and Naw Doris, national staff of the Pathein Myaugmya Association (PMA) in Myanmar, returned to the Kahelu Small Farm Resource Center where they work to establish their own community level seed bank, aimed at serving the surrounding communities with an alternative source of quality seeds. 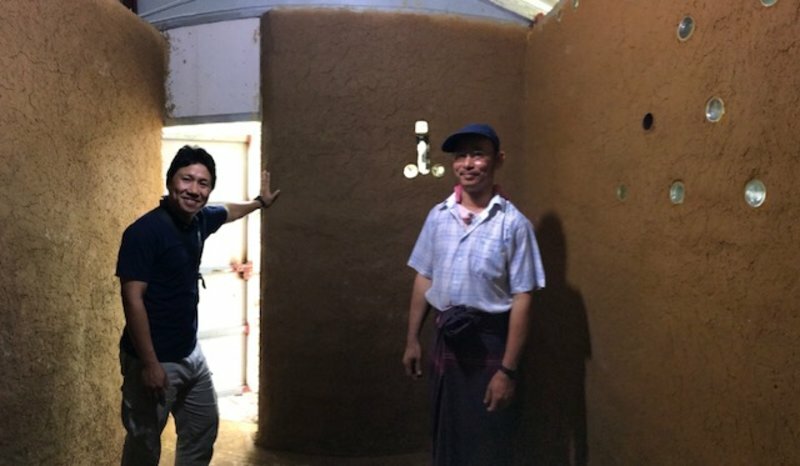 Applying the training received from seed bank staff in Thailand, a modest seed bank ‘cold room’ was constructed using earthbag building technology used to lower and stabilize temperature. Raised bed production plots have been planted for growing out seed and supplying the seed bank, and plans are in progress for using local partner farmers to grow out various seed varieties. It was at this site that ECHO Asia hosted a Seed Saving Workshop in January that brought in dozens of local farmers and national development workers, to train on site and learn about seed cleaning techniques, storage technologies, and seed biology. Just six months later, upon returning for a follow-up visit to Kahelu, our staff were amazed at the progress this seed bank had achieved. Their work exemplifies the power of a good partner who applies the principles they learn for the good of their local community. Staff at the Kahelu Seed Bank have also taken on a research component, helping ECHO to verify and field test some of the practices we promote. A small regional experiment is underway to evaluate the storage conditions of earthbag seed banks, buried clay cisterns, and a hillside seed bunkers; all of which are comparing unsealed seeds and vacuum sealed seeds using a modified bicycle pumper vacuum sealer. This ‘disaggregated research’ is a critical piece in ECHO’s ability to provide up-to-date and sound options to our network. The Kahelu seed bank is one example of an emerging network of community level seed banks. It is joined by several additional sites in Myanmar, Cambodia, and the Philippines. Our hope is to continue to assist local organizations to establish, connect, and build the capacity of community level seed banks throughout the region.